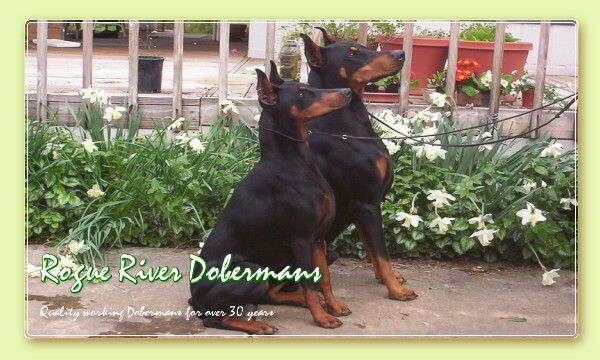 We are members of the Doberman Pinscher Club of America, the Mt. Hood Doberman Pinscher Club, and the Rogue Valley Kennel Club. We teach obedience and rally classes, and Susan is an American Kennel Club Canine Good Citizen Evaluator.